The two powerful ships are now both on the Northern Sea Route en route to and from natural gas terminal Sabetta. While the «Vladimir Vize» has picked up LNG in Sabetta and is on its way towards Asian markets, the «Rudolf Samoylovich» early this week passed the Kara Gate south of archipelago Novaya Zemlya, information from the Northern Sea Route Administration says. The ships are owned by companies Teekay and MOL and COSCO respectively and both built by the Daewoo Shipbuilding & Marine Engineering (DSME) in South Korea. 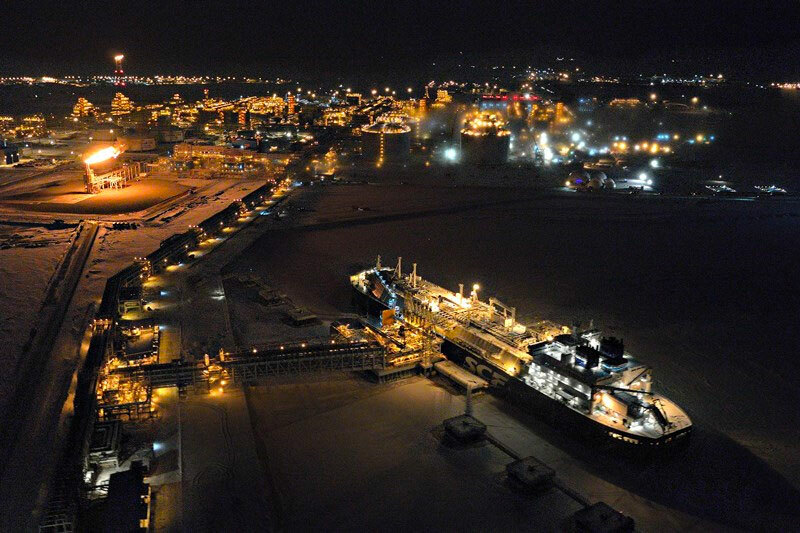 They are the 6th and 7th vessels in a total fleet of 15 vessels that for the next decades will shuttle to Sabetta, the terminal serving the Yamal LNG project. They add almost 30 percent out-shipment capacity for Novatek and its partners in the liquified natural gas project. The 299 meter long vessels have a 172,600 m³ capacity and can operate without icebreaker support in the icy waters along the Russian Arctic coast. «Good luck and fair seas to Captain Ceprasovs and the crew in delivering a continued service of operational excellence to our customer for many years ahead,» Teekay says in a press release. The «Rudolph Samoylovich» is the company’s second of six Arc-7 carriers to be provided to the Yamal LNG project by 2020. Teekay’s first project carrier, the «Eduard Toll», set a new Arctic shipping record when it in early January 2018 sailed through the Bering Strait and all the way to Yamal. According to Teekay, the «Rudolph Samoylovich» was delivered almost three months earlier than plans following a request from Novatek. It transited the Northern Sea Route after its delivery from the yard in Korea at the end of August. Only a couple of weeks later did representatives of Japanese company MOL and China’s COSCO assemble in the Korean DSME yard for the name ceremony of the « Vladimir Vize». It is the second vessel of kind jointly owned by the companies. Earlier this year, the «Vladimir Rusanov» started operations in the remote northern waters. Another three ice-breaking LNG vessels of the kind are to be built for the companies, all of them due to be delivered in the course of 2019. The seven Yamal LNG carriers now in operation include the «Christophe de Margerie», «Boris Vilkitsky», «Fedor Litke», «Eduard Toll», «Vladimir Rusanov», «Rudolf Samoylovich» and «Vladimir Vize». According to Aker Arctic, the Finnish company involved in the development of the “Yamalmax” carriers, the remains vessels will be named «Georgiy Brusilov» (2018), «Boris Davydov» (2018), «Nikolay Zubov» (2018), «Nikolay Yevgenov» (2019), «Vladimir Voronin» (2019), «Georgiy Ushakov» (2019) and «Yakov Gakkel» (2019). The last of the 15 ships has not yet got a name.